Our caravan is on Lyons Oakfields site in the very popular resort of Towyn On the North Wales coastline. The caravan is 3 bedroomed and fully equipped for a relaxing family holiday. 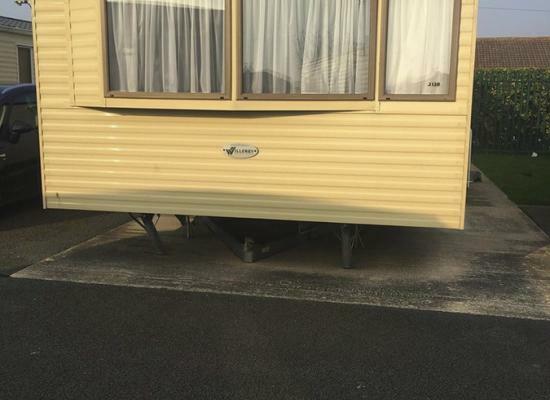 We have a 3 bedroom caravan for hire on Lyons Oakfield caravan site in Towyn, North Wales. Oakfield Caravan Park is situated in North Wales close to a number of holiday attractions that are well worth visiting while you stay at Oakfield. Located in Towyn you are only a 5 minute drive from Rhyl and the Rhyl Sun Centre which both offer a great day out. On Oakfield Caravan Park itself you will find an on-site club that is open till late during the school holidays and weekends at peak time. If you would rather enjoy a quiet drink then a smaller club is also available which features pool tables. Not far from Oakfield Caravan Park you will find shops, restaurants, pubs and arcades and also the Tir Prince racecourse.